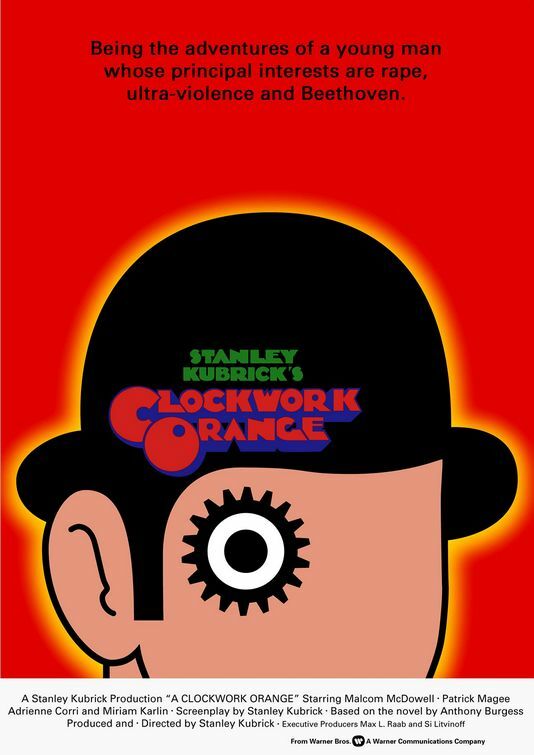 Stanley Kubrick's controversial Oscar-nominated 1971 dystopian future sci-fi classic was largely banned and made unavailable in Britain for around twenty-seven years due to its depiction of extreme sexual violence. 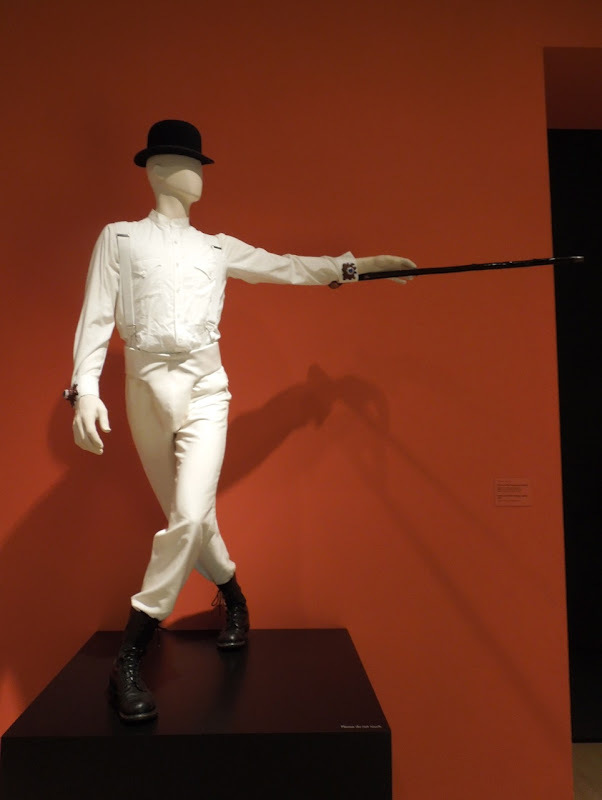 Having grown up in the U.K. during this time, I found it even more interesting to see this collection of movie memorabilia for A Clockwork Orange so openly displayed at LACMA's Stanley Kubrick exhibit. 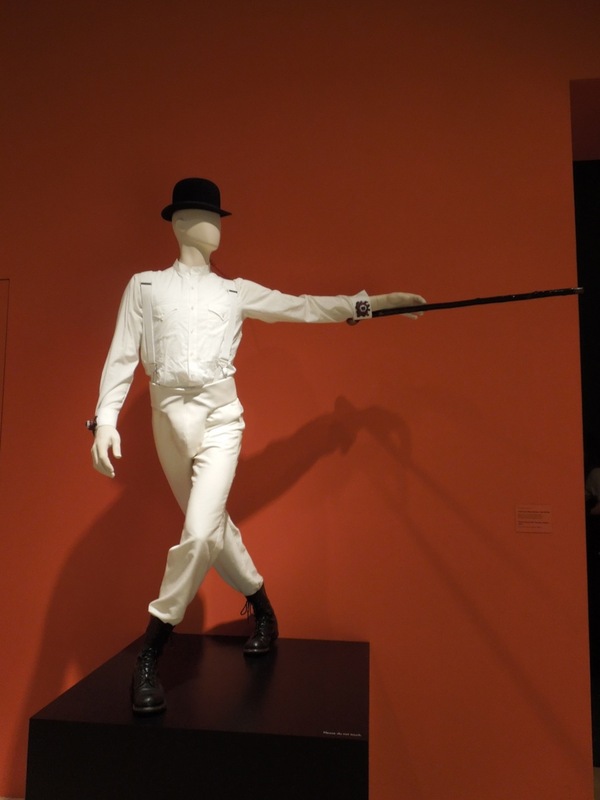 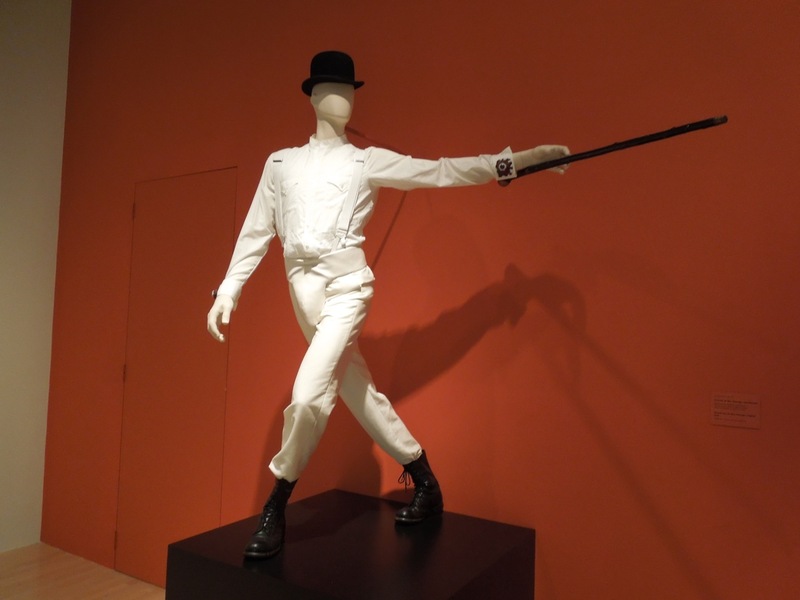 The exhibit at the Los Angeles County Museum of Art was comprised mainly of reproduction costumes and props, but it did feature the original sword cane used by Malcolm McDowell as the sociopathic delinquent 'Alex DeLarge' in the movie set in a futuristic Britain. 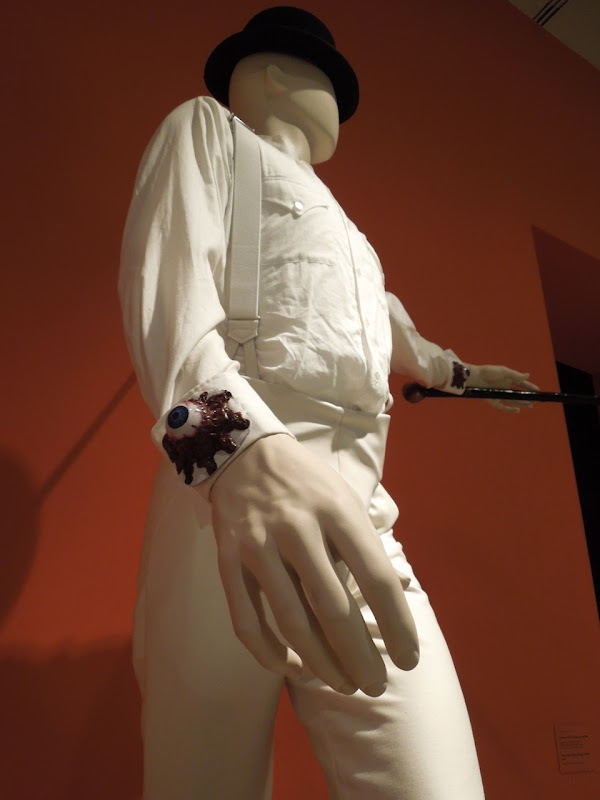 Milena Canonero was the original Costume Designer responsible for creating the now iconic look for Alex and his ultra-violent thug gang of 'Droogs'. 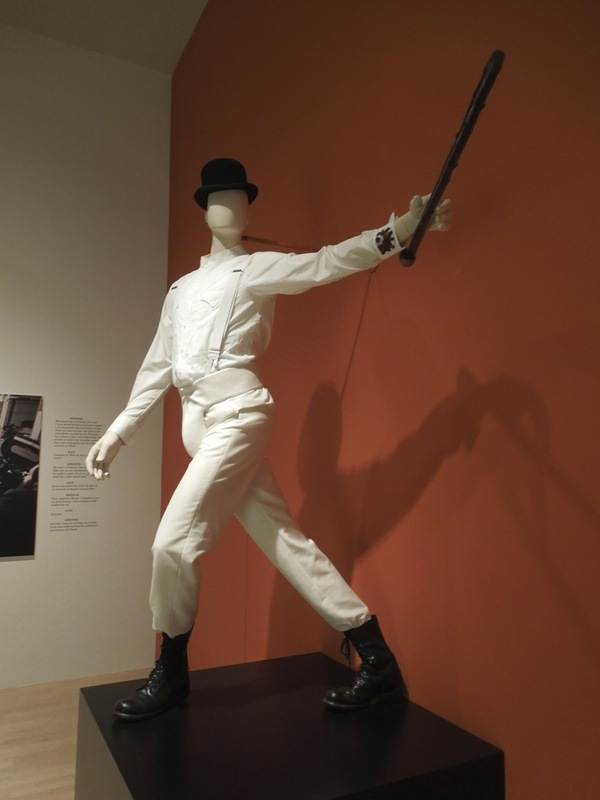 At other ends of the spectrum, you can also see her Oscar-winning period costume designs in Barry Lyndon and outfits used in The Shining horror movie. 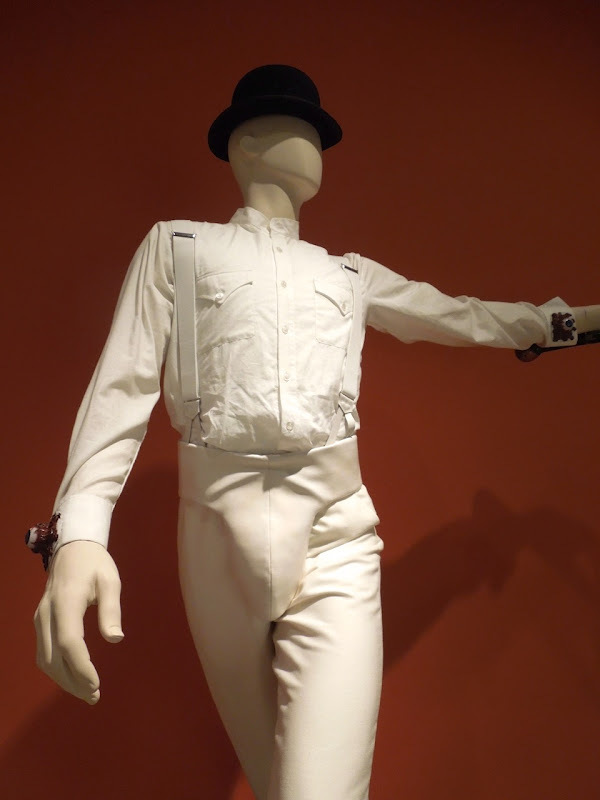 Also on display were mannequin reproductions of the Korova Milk Bar maids, which have a real 70's vibe to them, used as set dressing and ornamental tables in the futuristic bar where the youth gangs indulge in the intoxicating 'milk plus' (from the mannequin's breasts no less). 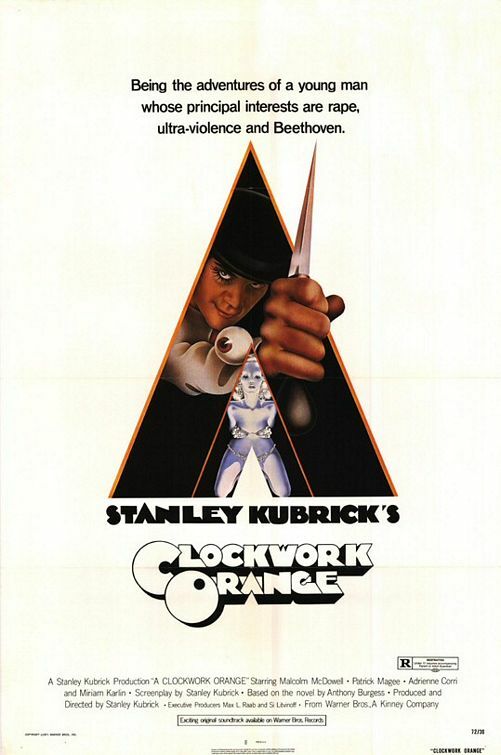 It's amazing how the world has moved on and imagery like this is no longer as shocking as it was forty years ago, although the societal, political and economic themes of the movie, like gang violence, are still relevant today.